First of all, a reminder that June 20 is the last date to register for SOTA at the current rates. As of June 21, ALL fees go up, including those for the Pre-Conference workshops, one day admissions, lunches, and everything else. This will be your one and only email reminder, so if you’ve been meaning to register do it NOW or at least make a note to do it when Mercury goes direct. Secondly, if you have already registered, please reserve your hotel room if you haven’t already done so. As usual, we only have a small block of rooms and once they are gone, they may or may not be gone. First come, first served. Third, a reminder that we have not one but two pages on Facebook. SOTA Astrology Conference (Facebook Page) generally has a mix of conference-relevant news and posts. SOTA 2015 Astrology Conference (Event) is the place to go if you’re looking for a ride, a roommate, or information about activities or hotel amenities. I am hoping to get some stuff on there about area restaurants and attractions, but so far it hasn’t happened. Fourth, please feel free to share this newsletter with friends, download flyers, or do anything else you feel might motivate your friends to come. Our advertising budget is nil. Even if it wasn’t, we feel word-of-mouth advertising is often more effective than ads. 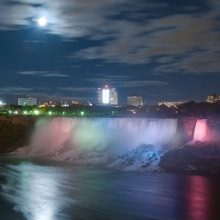 First of all, we have an attendee from France who is interested in making a side trip to Niagara Falls (about 25 minutes away by car) either on Thursday during the day or possibly Monday after the conference. If this appeals to you, let me know and I’ll put you in touch with her. And if you haven’t seen the Falls, it would be worth your while. Secondly, I had a query from a newbie who is interested in coming but feeling a bit intimidated because she doesn’t know anybody. I keep telling people that after the first couple of lectures, you will INDEED know people. This is one of the friendliest conferences you could ask for — from the attendees to the staff to the people. I also generally suggest that newbies come to the Opening Reception and Keynote — and yes, we generally ask them to stand up, which COULD be awkward, but after that pretty much EVERYBODY will go out of their way to say hello. Plus there is food, and a cash bar and a good keynote by Jacqueline Janes. Pluto in Capricorn and Uranus in Aries formed seven exact squares between June 2012 and March 2015. Seeds of change and transformation were sown and a matrix of possibilities formed. Now what? As astrologers, mediums, and intuitives, what is the future of our professions, our “state of the art”. Jacqueline is inspiring, insightful, and thought-provoking. Many of our attendees — as well as several attendees at other conferences — have said she is one of the people they try to hear. So we’re happy to make that possible. And once again, the Opening is a great way to stick your toe in the Aquarian conference waters — especially if you happen to live in the Buffalo-Niagara area. Cost is only $25 for the lecture and reception; the cash bar is extra, of course. But even so, this is an inexpensive evening out and a good way to meet like-minded people. And you can always bring a friend. Plus, we are expecting the absolutely wonderful AFAN hospitality room to be open for all registrants, speakers, and staff from about 9:30 onwards. Natal charts hold a wealth of information about the shape and form of the many relationships in our life. We will not just focus on the intimate other, a favorite, but also the sibling other, the working other, and the peer other. Mom and Dad, too, have qualities of archetype otherness. If you’re thinking that this lecture’s got something for everyone, well, it probably does. Come and have a listen! 10. A free shuttle to and from the airport. 9. Lots of restaurants within walking distance. 8. The shopping mall next door. I am not a shopping mall fan, and even I was impressed with Walden Galleria. There’s a Lush, a Macy’s, an Old Navy, a wonderful tea place, a Lane Bryant, a Barnes and Noble, and lots of other neat stuff. You can travel light and pick up some new stuff. And if you forget something, you can pop next door and find a replacement. I will vouch for both Gary Caton and Eileen McCabe. You will definitely get 3 hours of good information from each of them. Gary’s work is innovative and original, a far cry from the same old stuff. Eileen is a very solid presenter with a background in social work. She has many years of teaching/lecturing experience, and her presentations are both practical and psychologically sound. And this will be the first time presenting at SOTA for both of them. 4. The fact that so many of the Open Forum speakers from last year will be back. Uh-huh…In order of appearance, Jodie Cara Lindley, Wade Caves, Adrianna Dream, Alex Trenoweth, John Marani, Carol Mason Godzick, and Marilyn will all be back. All have interesting topics. Explore the links between the Birth Chart and the ancient Native American Medicine Wheel. Dive into the structure, meaning and use of the Medicine Wheel, compare it to the Birth Chart, and open to a new way of viewing the Chart as Medicine. The angles, planets and signs are featured. Jodie Cara Lindley has created a unique session she calls Shaman’s Astro, which combines shamanic principles, journeying and astrology . She regularly offers Shamanic Journeying Circles and workshops, and practices as a Registered Massage Therapist and Reiki Master in the greater Toronto area. See above. This year this will take place after the opening ceremonies and again after the banquet. We are hoping Eric Pride will be back to host it. 2. Being with like-minded people. Yep, to me the gathering of kindred spirits is what it’s all about. Reconnecting with old friends and making new ones. 1. New books, new ideas, new speakers. We’ve got those too. Helene Arts will be back as our official bookseller, and she’ll have all of the speakers books, other new books, and a fair number of out-of-print books as well. As for new speakers, people are excited about Shirley Soffer, Patricia Price, Rhyan Butler, and the return of the one and only Sylvia Jean Smith after a lengthy absence. As for new ideas, “new” is in the eye of the beholder, but rest assured there will be plenty of food for thought. So there you have it. I hope some of this piques your interest enough to attend for the day or for the duration. And I hope you’ll tell your friends and that all of you will register before June 20th to save yourself some money!